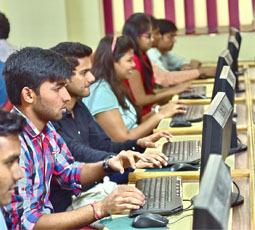 Computer science is the study of theoretical fundamentals of information & computation and learning practical techniques for their implementation in computer systems. 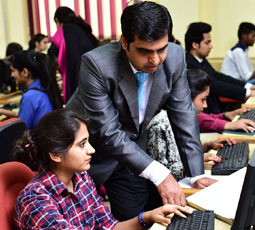 Computer Science and Engineering is the discipline that integrates engineering practices and computer science so as to develop computer systems. The field focuses on the core concept of how computer systems work and how they integrate into the larger picture. A computer engineer is trained for developing, evaluating and deploying the software that make our computers work. 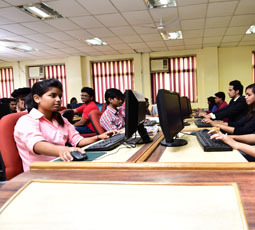 Information Technology, on the other hand is the practical use of computers to manage information – to process it, transmit it, protect it, store it and retrieve it if required. With rapid growth of the information technology industry, demand for software professionals is at all time high. B. 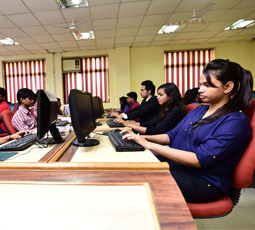 Tech in Information Technology is a degree which has been designed to enable students to develop high level technical abilities and a sound theoretical understanding while nurturing creative and problem solving skills in them.